Site work has begun for an oil refinery that has faced backlash. BISMARCK, N.D. (AP) Meridian Energy Group said Tuesday that it has begun site work for an oil refinery about 3 mi. 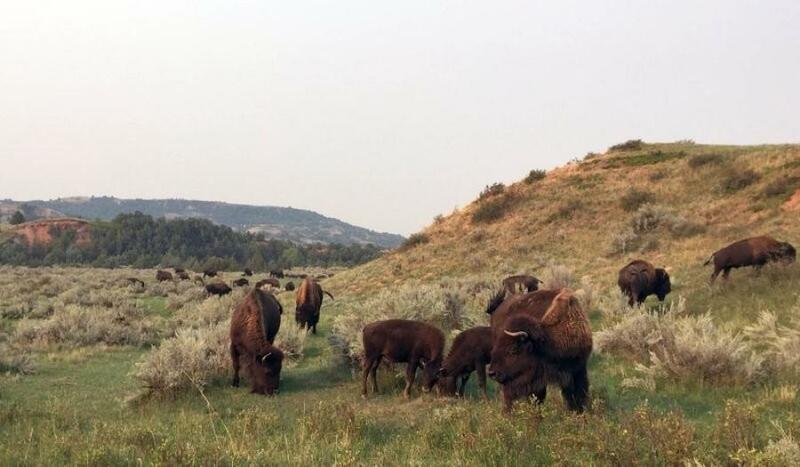 from Theodore Roosevelt National Park in western North Dakota, though the project still faces hurdles, including a lawsuit by environmental groups. Meridian said it hired St. Paul, Minnesota-based SEH Design/Build Inc. to oversee such work as grading land, installing erosion control devices and developing storm water ponds. Work got underway July 16, according to company spokesman Adam Williams. Construction of the $800 million Davis Refinery isn't planned until next year, with operations to start in 2020. It would be only the seventh oil refinery built in the United States in the last two decades, according to the U.S. Energy Information Administration. The project began five years ago. “It is great to be finally beginning site work for Davis,” Meridian CEO William Prentice said. However, North Dakota Air Quality Director Terry O'Clair has said that Meridian is proceeding at its own risk in light of a lawsuit filed in state court by the National Parks Conservation Association, the Environmental Law and Policy Center and the Dakota Resource Council. The groups fear pollution from the refinery will mar the park's scenery and erode the quality of the air breathed by wildlife and visitors. The park is the state's top tourist attraction, drawing more than 700,000 people annually. Meridian maintains that the refinery with modern technology will be “the cleanest refinery on the planet” and a model for future refineries. Supporters also point to its potential impact on the economy, creating permanent jobs for 200 people in the area and generating millions of dollars in local property taxes each year. The environmental groups are challenging a state air quality permit issued in June that allowed construction to proceed, asserting that the state Health Department erred when it concluded that the refinery wouldn't be a major source of pollution and wouldn't negatively impact the park. The lawsuit asks a judge to declare the permit invalid and send the case back to the Health Department for further review. The refinery that would initially process about 27,500 barrels of oil daily faces other steps and potential roadblocks. It still needs state water and wastewater permits, though it can begin building before receiving them. It also will need to prove once it's built that it meets air quality standards. The Environmental Law and Policy Center and the Dakota Resource Council in late June filed a complaint with North Dakota regulators requesting a study of the refinery's location. The complaint is pending before the Public Service Commission. The Dakota Resource Council also is challenging in court the zoning permit that Meridian received from Billings County, saying in part that the permit has expired.